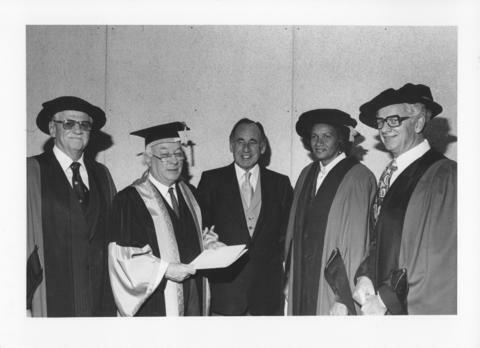 File contains a photograph from a fall convocation at Dalhousie University in 1979. The photograph shows Maurice Van Vliet, Henry Hicks, Lieutenant governor Shaffner, Joyce Robinson, and Hugh Noble standing together. Four of them are wearing academic dress.